ISBN 978-0-9931955-1-8. Paperback. 120pp. Publication date: November 2015. Equus Press: London. Price: € 15.00 (not including postage). Order directly from Equus Press, or from Amazon: US / UK; or try the Kindle edition. Proclaimed as the “first Dada novel” & the “literary equivalent of Cézanne,” Melchior Vischer’s Sekunde durch Hirn (Second Through Brain, 1920) is composed as a series of disconnected vignettes that flash through the mind of one Jörg Schuh as he falls from the scaffolding of a 40-storey construction site. 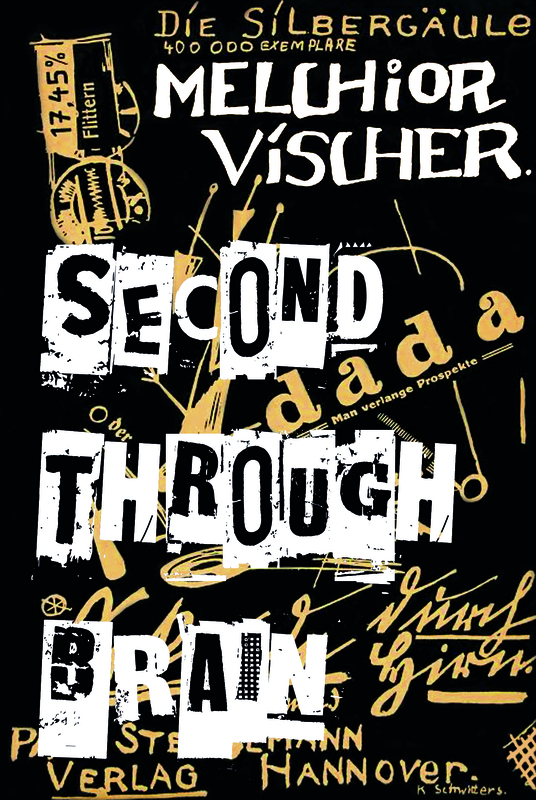 With its boldly idiosyncratic technique, Vischer’s novel is a major document of the Zürich-Prague-Berlin Dada axis. Largely forgotten after World War II, Sekunde durch Hirn is an important rediscovered landmark of the inter-war European avant-garde, here translated into English for the first time.